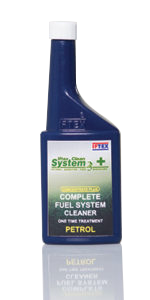 IFTEX CLEAN SYSTEM 23+ | IFTEX OIL & CHEMICALS LTD. Saves petrol and maintenance cost. Rapidly removes gum and varnish deposits from spark plug, carburetors and injectors. Prevents valve sticking, valve bending and restores peak engine performance. Improves pickup and eliminates knocking. Reduces smoke and harmful emission. Recommended for all types of petrol driven vehicles, scooters, motorcycles, new generation and imported bikes. Empty contains of bottle into fuel tank. Drive normally. 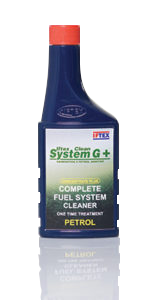 For best results regular use of Iftex Clean System 23 should used at the rate of 2ml/litre.